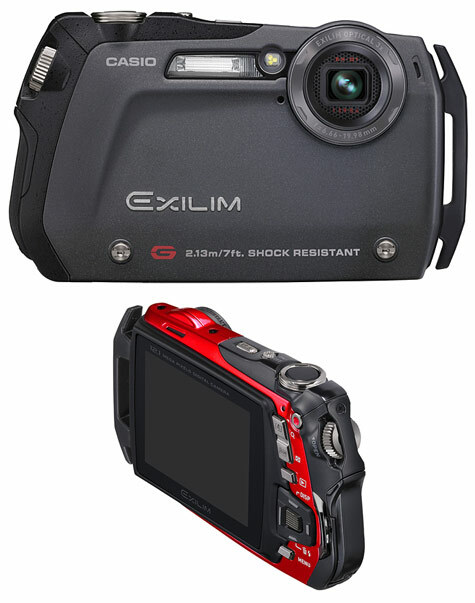 Casio recently launched their latest offering in the new G-line of digital cameras called the Casio Exilim EX-G1. The EX-G1 is definitely one for the active photographers out there with it rugged exterior and impressive features that include: a 12.1-megapixel, .78-inch pocket cam which is waterproof down to 10 feet for up to 60 minutes, resists water penetration even when being directly sprayed, can handle temperatures down to 14 degrees, and can withstand multiple falls from seven feet. Other features include a 848 x 480 16:9 movie mode, microSD storage, intelligent auto focus, and a 3x zoom lens. Casio is not bad for a digital camera. It’s weird having one though because it’s always been my scientific calculator back in college.